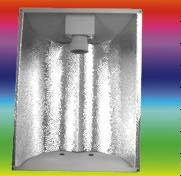 Basic Hydroponic 400 or 600 watt grow light system comprising ballast, shade and son T sodium bulb. Just plug into the mains. 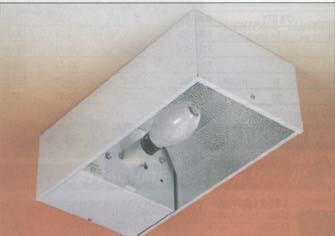 Deluxe version 400 or 600 watt system comprising deluxe ballast, deluxe shade and son T sodium bulb. Just plug into the mains. These growlight shades are available as an economy model or a deluxe. The economy grow light shade has a highly reflective mirror surface (supplied covered in blue protective film) and measures 420x460mm. 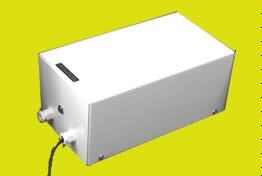 Supplied with 3m of mains cable the shade will plug directly into the ballast. Standard screw bulb holder. The deluxe shade has a highly reflective mirror surface (again protected) but has a more robust construction and a more efficient reflector design. 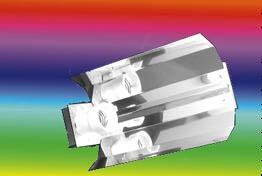 The reflector has a central V section which prevents heat build up in the bulb and will prolong the life of the bulb. Measures 420x460mm. Supplied with 3m of mains cable the shade will plug directly into the ballast. Standard screw bulb holder. Two types of ballast available, economy and deluxe. The economy ballast will run Sodium or HID bulbs and is available in 250, 400 and 600 watt versions. The case measures 330x230x170mm and is supplied with a mains cable. In the event of a bulb failure or removal the ballast is NOT protected and could be damaged. The deluxe ballast will run Sodium or HID bulbs and is available in 400 and 600 watt versions. The case measures 290x170x170mm and is supplied with a mains cable, cable clamp and rubber feet. In the event of bulb failure the ballast will shut down to prevent damage. Professional quality sodium lamps available in two sizes and supplied complete with integral ballast and including bulb. Just connect straight to 240v Ac mains. The units will also run metal halide lamps if required. Low cost simple light reflector with an angled mirror finish metal reflector. Fitting measures 230x 370mm and is 90mm deep. Fitted lead. Ballast can be up to 35 metres away from the fitting. An economy version is also available comprising a budget hood, an economy ballast (only 3 metre range) and Son T plus 400w lamp. Same size as the supernova shade but with a folded highly polished reflector. .Each fitting measures 440x590 and is 190mm deep. 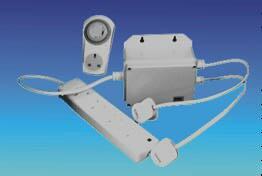 Supplied with mains lead and hanging points. Complete system comprising Supa nova plus, remote ballast and 400 watt Son T plus 400 watt sodium lamp. 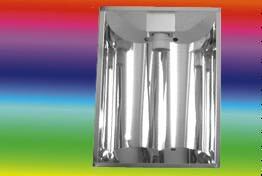 Good quality lamp holder with a double parabolic light reflector made from a highly reflective dimpled surface. The double parabolic system of reflector is regarded as one of the most efficient means of reflecting the light from the bulb. Each fitting measures 440x590 and is 190mm deep. Supplied complete with reflector, bulb, case and control gear. Just connect straight to 240v. 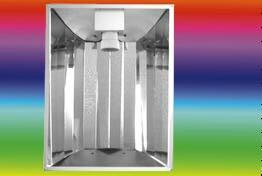 Metal halide lamps include a glass safety cover. The Maxibright unit comes in a high quality heavy duty powder coated metal enclosure. The unit has a steel galvanised metal base for good earthing and also a lip for wall mounting. All control gear used is C.E. stamped and is frequency matched and utilises proven technology. The Maxibright unit uses PULSE control gear which means the lamp can be remoted up to thirty five metres. The Maxibright unit will run Sodium lamps only. The unit also has a neon indicator to show on/off and comes with one metre of flex and a thirteen amp fitted plug. 8.The Maxibright unit also is guaranteed for one year. Complete system for moving a light across your plants giving a much better distribution of light and a more efficient use of your lights. 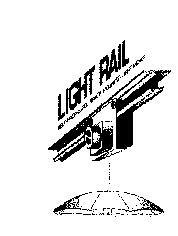 System consists of a 6' aluminium track that is mounted on the ceiling and a motorised unit that runs along the track. From this unit you suspend your light. The motor is designed to travel the length of the rail in a couple of mins, pause for 30 seconds and then return. Stopping at the other end for 30 seconds and then repeating the exercise. This ensures that the light reaches all the plants for the same amount of time. Mains operated. Mechanical type Up to 6 on/off settings. Electronic type Up to 4 on/off settings. Our control contactor unit enables you to switch up to 4x 400 watt lamps using a standard plug in timer. The unit is fully cased with wall fixings, 1x 4 way trailing socket for your lights etc, two leads for the supply (one goes into the timer the other into your supply socket) Supplied complete with a plug in timer and fitted mains plugs. Will run 4 x 400 watt or 3 x 600 watt lamps.